Home > Green Policy > What Is a Carbon Survey? Organisations that have undergone a carbon survey have found that they are not only helping the environment, but also saving money. So what actually is a carbon survey and what does it involve? It can be difficult working out your own personal carbon footprint nevermind that of your whole organisation, and so the government-funded independent company the Carbon Trust has taken on the role of offering businesses a helping hand. A survey would involve Carbon Trust experts visiting a workplace to identify any opportunities to save energy and provide practical advice on how to achieve them. Assessments have shown that many organisations are needlessly wasting energy, and by making some suggested changes they could save thousands of pounds. When the London International Exhibition Centre (ExCeL) first approached Carbon Trust in 2001 to assess its energy use, their annual fuel bill was £1.1 million. As a result of the implementing the recommendations suggested by the survey, ExCeL cut its bill by approximately a third. Taking measures to cut carbon emissions is therefore not simply a way of 'doing one's bit' for the environment, it also makes business sense. More and more companies are realising that making an effort to save energy is a win-win situation, with both the environment and the bank balance reaping the rewards. The money saved could mean extra funds to reinvest in services and facilities or just a boost in annual profits, and the reduction in CO2 emissions will lessen your company's carbon footprint, help combat climate change, create a healthier working environment and even boost the reputation of the organisation. Carbon Trust may well claim that companies slash up to 20% off their energy bills as a result of a survey, but to get something back you must surely put something in first - you can't expect to reap dividends without making any investments. If boosting company efficiency was the sole aim and result of an efficiency study then naturally you'd expect to pay for the privilege. However, as the impact of a carbon survey benefits the environment too, the Carbon Trust is keen to encourage to the biggest energy users to act by offering its surveys free of charge. If an organisation runs up annual energy bills of over £50,000 then Carbon Trust will offer a carbon survey for nothing. The resultant environmental benefit of such a survey ultimately offsets the time and labour costs of the Carbon Trust. Carbon surveys are not available for organisations with annual fuel bills of less than £50,000. 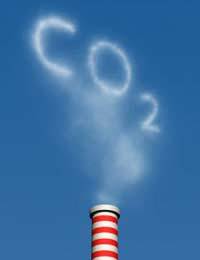 Instead a support line is available for advice about improving their company's carbon emissions. Of course the survey itself is not the only potential expense. Once the assessment is complete won't companies be presented with a list of costly changes that then need to be made? It would be counter-productive for Carbon Trust to encourage businesses to adopt environmentally friendly, and cost-effective, changes if their bank balance was expected to first endure a sizable dent. The company only recommends low or no cost actions that pay for themselves either immediately or within a few months. One company surveyed by Carbon Trust is expected to save 8% off its electricity bill simply by following advice regarding altering the time schedule settings on the air conditioning. Details about recent site energy costs. Copies of any energy policies or plans. The survey itself will typically take between 2 and 10 days, depending on the scale and complexity of the site. During this time the consultant will hold discussions with key staff employees and carry out a study of operations across all areas of the site. Their efforts will be focused on attempting to identify any energy saving opportunities. Their overall findings will be reported back to the appropriate staff members at the conclusion of the survey. An evaluation of company energy use. A review of the positives and negatives of the current energy management procedures. A list of on site energy saving recommendations along with details of why these should be carried out, how much they would cost, what money they would save, and how they could be implemented.